My name is Ernesto Sorrentino and are an electronic technician. As a child I was attracted to automated electronic circuits and devices, even if they understood the operation, remained entranced by the green color of the solder and the autonomous capacity of the toys. Growing up, I attended a technical school in electronics and after graduation I have continued to expand their technical knowledge and are now specializing in assembler for microcontrollers. Still work in a company that deals with electronics in the automotive industry. 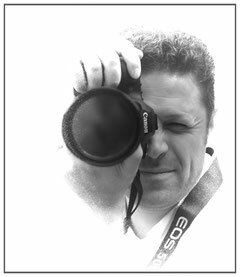 In recent years I have acquired a passion for photography, not only to capture the most beautiful memory for a long, but to compose shots satisfying the desire for creativity, embracing the passion of electronics I started to create devices that help me to improve photography and today these pages i will share my projects with the readers who have the same passion.